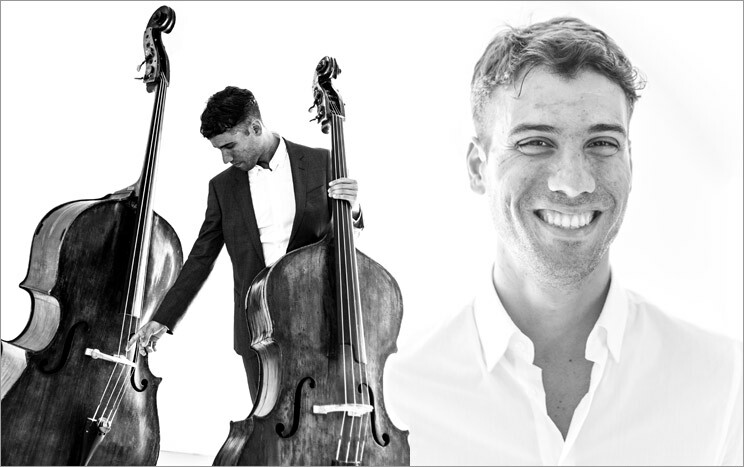 Born in Spain in 1985, Luis Cabrera started playing the double bass at the age of 10. After graduating from the "Conservatorio Profesional Joaquin Turina", where he studied with Professor Rafael de Frias and later on with Karen Martirossian, he moved to London in 2002 to complete his undergraduate and postgraduate studies at the Guildhall School of Music & Drama under Professor Rinat Ibragimov. Luis then completed a Masters at Berlin's "Hans Eisler University" under Professor Janne Saksala. Having received numerous awards and Scholarships he became Principal double bass of the Netherlands Philharmonic Orchestra, in Amsterdam in 2006. 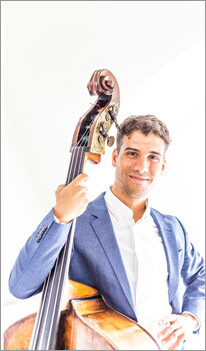 Recently he has been invited to play as guest principal double bass with the London Symphony Orchestra, Royal Concertgebouw Orchestra in Amsterdam, Mahler Chamber Orchestra, BBC Symphony, Royal Philharmonic Orchestra, English National Opera, Rotterdam Philharmonic Orchestra, “Orchestre National de France” in Paris, BBC National Orchestra of Wales, Northern Sinfonia, Scottish Chamber Orchestra and Amsterdam Sinfonietta amongst others, where he played under distinguished conductors such as Sir Colin Davis, Valery Gergiev, Kurt Masur or Bernard Haitink amongst others. Luis has collaborated with ensembles of different styles such as Arcangelo, the Orchestra of the Age of Enlightenment, the London Sinfonietta, or the BBC Philharmonic Orchestra and the "Orquesta Nacional de Espana" amongst others. Very active as a chamber music player, soloist and teacher, these commitments frequently take him to Portugal, France, Germany, Spain, Italy, Argentina, Mexico, Greece, Peru, Argentina, Hong Kong and, also, to Spain, The Netherlands and the UK where he has performed both alone or in small groups at venues such as the Wigmore Hall, Barbican Hall, LSO St Luke's, Het Concertgebouw, Den Haag KonCon and Palacio de Cibeles in Madrid. Luis joined the Guildhall School of Music & Drama’s teaching staff in 2012 and has been visiting teacher and coach in several colleges and Youth Orchestras including "Centro Superior Katerina Gurska" en Madrid. Since 2018 he is also a professor at the Conservatoire of Rotterdam (CODARTS).